Who wants to know bout MIGHTYSPIKE? You can always check here for the latest on what's going on here at EKS. We'll be letting you know about our latest projects and who has been visiting our studio. We'll also keep you filled in on the comings and goings of some of our "alumni" -- talented people who have become part of the EKS family! Greg Wallace and I have camera credit on the DVD. EKS Sound Inc. provided sound at the Paramount and found out Sascha Paladino was making a documentary on the tour using a Sony PD-150 the same camera we use. So we ended up with a 3 camera shoot of the show. Glad to see it surface. "Truly wonderful original music with honesty that sets to mind visions of home, love, life's sorrows, real people and emotions that we all share and experience. Vocals and harmonies this smooth and emotionally stirring are a rare find." 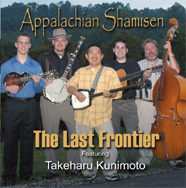 The Last Frontier Appalachian Shamisen You have never heard bluegrass like this! Buy it and expand your horizons today. 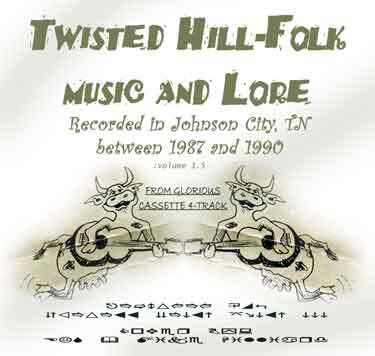 Twisted Hill Folk Music & Lore release Dec. 27th 2002 at Brian and the Nightmares and The Pleztones. Show at The Casbah after 12 years - this twisted soundscape can be yours. Sold Out Eighth Annual Leon Kiser Memorial Show. Honoring James Bryant and Carson Cooper. Order a DVD of the entire show 3 hours 50 min. Sold Out Sixth Annual Leon Kiser Memorial Show. Honoring Richard Nunley, Marie Arnold, and E.C. Miller. Buy your Two VHS tape set now. Enjoy Con Vivo's, final concert on CD. Recorded in Abington at Christ the King Church. Going For the Green. Recorded in studio at EKS. Ed Snodderly has completed Brier Visions. EKS Sound is proud to partner with Ed. Congratulations! "Tennessean Snodderly's work stands out. 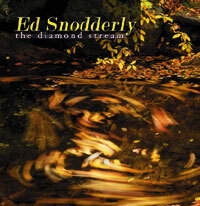 Good vocals - engaging, unaffected - effortless guitar picking." 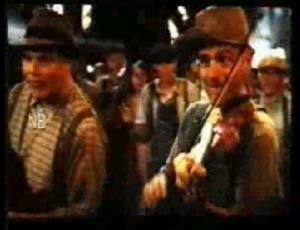 What are the odds of getting two village idiots Ed Snodderly and David Holt pictured in Oh Brother Where Art Thou? David Holt Live & Kickin' recorded live at the National Storytelling Festival in Jonesborough, TN. Nominated for a Grammy! 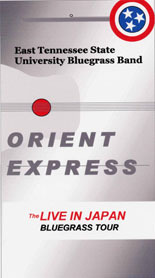 East Tennessee State University Bluegrass Band ORIENT EXPRESS This groundbreaking film offers most Americans their very first look at the remarkable impact of bluegrass music in Japan. Greg Wallace is working on more great documentaries. Bob Mize: Legacy in Wood How to make a Mountain Dulcimer. This documentary by Greg Wallace spends some quality time with a master dulcimer maker. Available. Click here to order. Bob and Mama Maude Mize Tribute Concert at the Paramount Center for the Arts. CD / DVD Combo package. A Celebration of Kenton Coe and His Music. Sponsored by the ETSU Friends of Music. CD / DVD Combo Package.